Fast and reliable service of process completed by our experienced and professional process servers. The most accurate and current skip tracing technology available for difficult to find persons to be served. 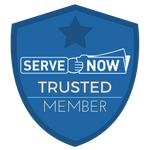 Notarized and professional affidavits of service delivered in a timely manner. Cutting edge software utilization for maximum efficiency and communication. Conveniently located in Myrtle Beach, Murrells Inlet and Conway, SC. Flat fees means more money in the client's pocket! We do the traveling so you don't have to! Regular routes to Horry & Georgetown Courthouses for filings, deliveries, recordings. Confidential information is safe with us! Provide notary and witness services for clients in nursing homes, hospitals, at home, or in the office.